Romero Canyon has the hearts of Santa Barbara trail runners for its lush groves of oaks and sycamores, valley views, and a series of climbs and drops which will keep you on your toes. In the mountains above the Summerland neighborhood, the varied terrain of these trails can be spliced together for a killer 9+ mile run, but we’ve mapped a more manageable 5.5 mile loop that includes all the rewards the canyon has to offer. Start out from the Romero Canyon Trail head on Romero Canyon Road and start upwards until you reach the junction. The trail is shady and along a creek bed for the first half. Bear right to stay on Romero Road and the continue down to complete the loop. 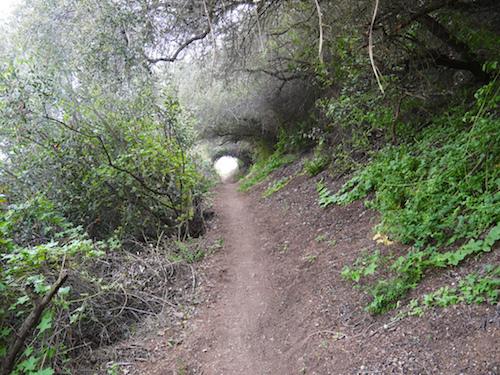 This is one of our series of trail runs in the canyons north of Santa Barbara, alongside Gould Park and Rattlesnake Canyon Park. 5.55 mile loop. Can be added to.